A beautiful display of vibrant flowers suitable for the arrival of a new Baby Girl. 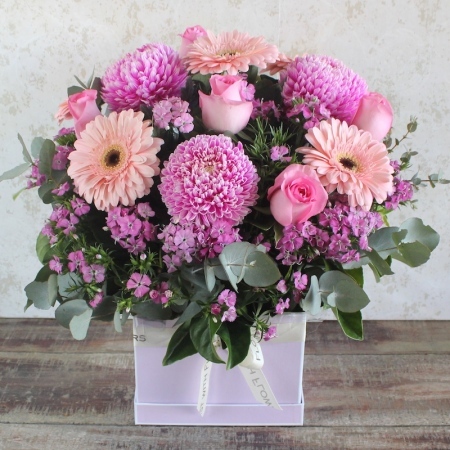 This arrangement includes pink Gerberas,pink Roses,hot pink Disbuds and pink Sweet William. A wonderful way to send your love and congratulations to the new parents on the arrival of their little Princess.